Choose your Chicagoland Speedway Driving Experience or Ride Along Experience to begin booking. If you’re giving as a gift or are unsure about a date, you can purchase a gift voucher and you or the recipient will have 90 days to return to the website or call 855-227-8789 and book a date. Chicagoland Speedway, located in Joliet, Ill., is only 40 miles from the birthplace of automobile racing in America. The first automobile race between gasoline-powered vehicles ever held in the United States actually took place on Nov. 28, 1895, when six cars left Jackson Park in Chicago for a 54-mile race to Evanston, Ill., and back in the snow. Frank Duryea took just more than 10 hours, averaging 7.3 mph, to win the race and earn $2,000. 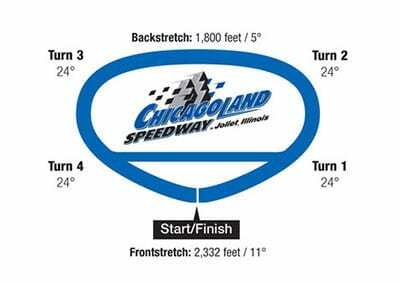 Chicagoland Speedway has 18-degree banking in its turns. The 2,400-foot frontstretch has 11 degree banking and the backstretch, which runs 1,700 feet, is banked at 5 degrees. It takes NASCAR’s top drivers less than 30 seconds to speed around its 1.5 miles in qualifying trim – Jeff Gordon set a track record in qualifying for the 2004 Tropicana 400 at 28.886 seconds, an average speed of 186.942 mph. We send out email promotions for individual tracks as well as nationwide. If you would to be included for future promotions, please enter your email below. 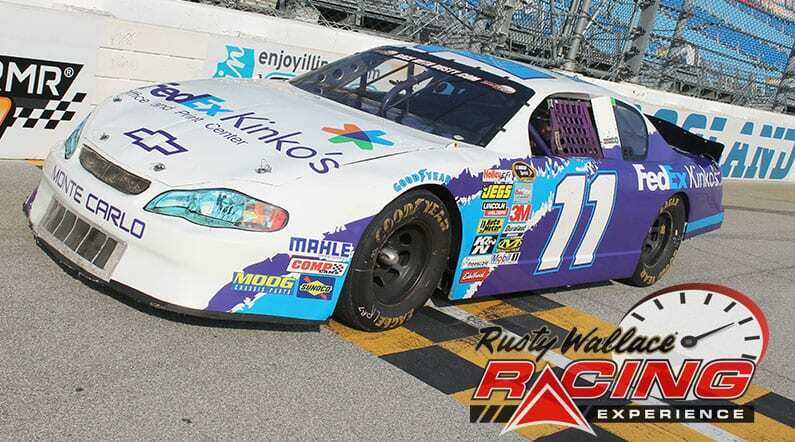 You will receive any email promotions for Chicagoland Speedway as well as Nationwide promotions. You can opt out at anytime. If you would like to receive specific promotions for any other track, please visit that track’s page and submit your email for that track.